The National Association of Professional Pet Sitters (NAPPS) Certification Program provides pet sitters with a broad-ranged and in-depth certified program in pet sitting. The state-of-the-art curriculum includes topics in pet care, health, nutrition and behavior, also business development and management, and a complete pet first aid course. NAPPS is the only national nonprofit trade association dedicated to serving the needs of professional pet sitters. 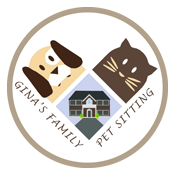 The Association aims to help the pet owning public, those interested in pet sitting, and professionals engaged in the in-home pet care industry by fulfilling its vision statement, serving as “the most respected authority in professional pet sitting.” It does so by providing the tools and support to foster the success of its members. NAPPS recently launched a membership designed with the pet parent in mind—the NAPPS Pet Parent Membership is the ultimate resource for pet lovers; offering guides, education opportunities, networking and exclusive discounts and deals to help pet parents care for their animal companions.